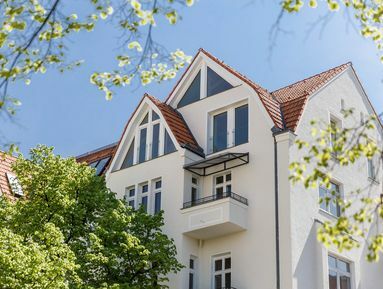 This currently rented 2-room neighbourhood apartment, located on the third floor of the front building, offers a lot of potential and the best "hardware". The space-efficient floor plan allows not only bay-window and balcony rooms, a spacious kitchen and a bathroom with tub and lots of natural light, but also a storage room with a large window, which could also be used as a home office or small guest room. Interested tenants will always queue up here.